Sure, they’re incredibly tart and can be difficult to find throughout most of the year – but if you’re cool with juicing frozen cranberries (just as yummy as the fresh and retain around 95% of the nutrients), this is one beneficial fruit to add to your juice recipes. I originally only started juicing cranberries for UTIs. As anyone who might have/be struggling with a UTI already knows, once you have one – you’re very likely to get another one. And cranberry juice is probably the best natural solution for UTIs – both for the treatment of a current one and to prevent recurring infections. It’s very effective (as long as you start right at the onset of the UTI), much better for your body than antibiotics (unlike antibiotics, cranberry juice won’t wipe out your beneficial gut bacteria), and juicing your own cranberry juice is a lot cheaper (and healthier) than buying cranberry juice. But don’t get me wrong – cranberry juice is not just for those with UTIs. 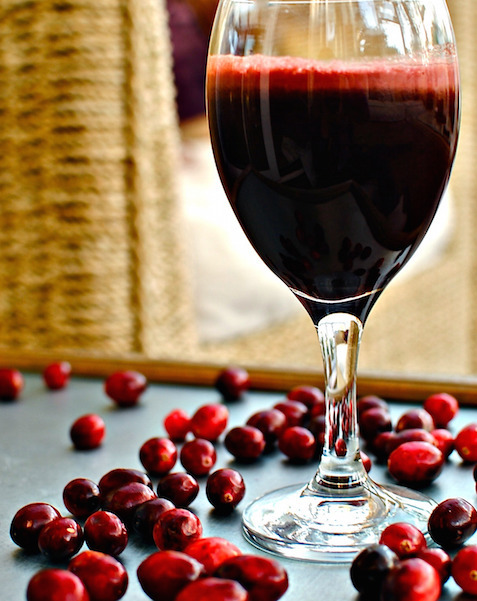 There are tons of benefits to juicing cranberries, mostly related to the fact cranberries are very, very rich in antioxidants – they are an excellent source of anthocyanins, resveratrol, tannins, proanthocyanidins and phytonutrients. These compounds are responsible for the purple and red pigments found in cranberries, as well as for the ability to stop the common bacteria E. coli from adhering to the lining of the bladder and urethra. Cranberry juice is also rich in organic acids (malic, citric and succininc), manganese, copper, selenium, and vitamins A, C and E.
Do remember, though, that cranberry juice can be really, really tart if you drink it straight. 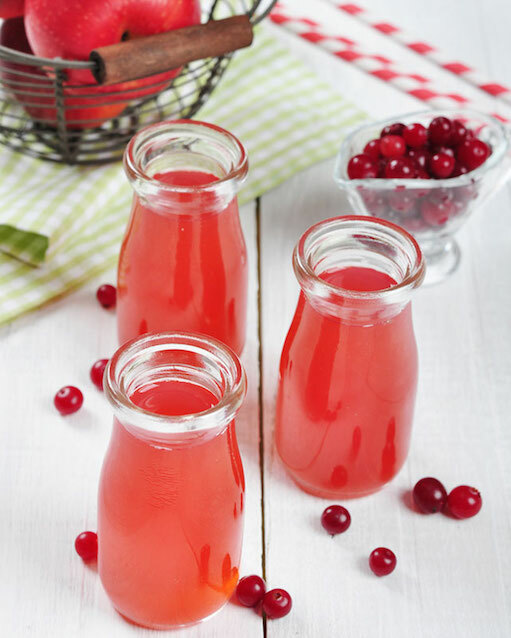 That’s what cranberry juice recipes are for – here’s a collection of the yummiest cranberry juice recipes around! You can find the original recipe and instructions at Rawmazing. The original instructions are for a food processor but since all of you have a juicer – use that instead (then you won’t have to strain it). You’ll also want to dilute this juice recipe with water, but you can skip the water and juice in a watery base like cucumber and watermelon instead. Bon appetit! So easy to make and so wonderfully nutritious, this simple cranberry juice recipe comes with a load of detox and digestive benefits! Again, dilution is a good idea – cranberry juice is pretty strong, after all. Just add water or water your juice down with cukes or watermelon! Cranberry…green juice? Yup, there’s kale in this one – but you won’t even know it’s there, promise. Get the original recipe and instructions (as well as more juicy inspiration) at Food to Glow! Here’s another brilliant cranberry green juice recipe that’s so deliciously sweet, you won’t even notice the greens part! Get the original recipe, instructions and loads of other good stuff at Jesse Lane Wellness! Find the original recipe and tons of other yummy, clean recipes at the aptly-named Lettuce Be Healthy! 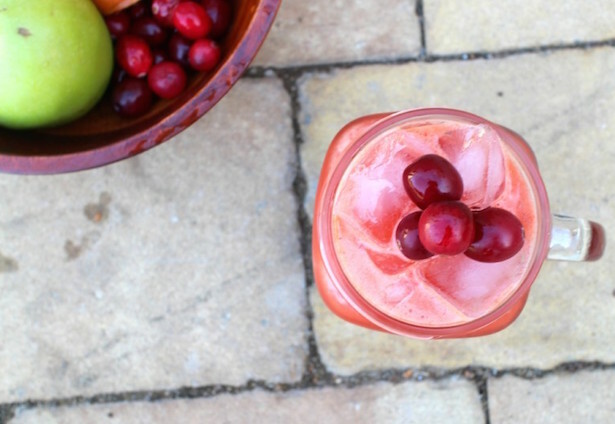 Here’s one of my all-time favorite cranberry juice recipes. It’s unique, it’s delicious, it’s so, so cleansing. Juice it up and sip! Find the original recipe (and a whole lot of other wonderful juice recipes) at Reboot with Joe! 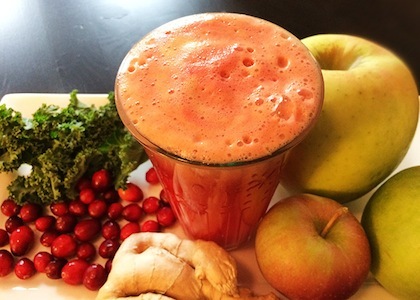 When juicing cranberry, most people find the taste too bitter to consume on its own. It is often mixed with other fruit or vegetable juices like apple or carrot. Commercially available cranberry juices contain added sugar and are less effective for healing maladies. Cranberries are also called “bounceberries” because they bounce when ripe. Cranberry retain maximum flavour and nutrient content when fresh and uncooked. The vitamins, antioxidants and other nutrients cannot withstand the heat used in baking. Persons who have a possibility of calcium oxalate kidney stone formation will want to avoid cranberries. They have oxalic acid, which may develop as oxalate-stones in the urinary tract. Research suggests that cranberry does not mix well with the prescription medication “warfarin”. 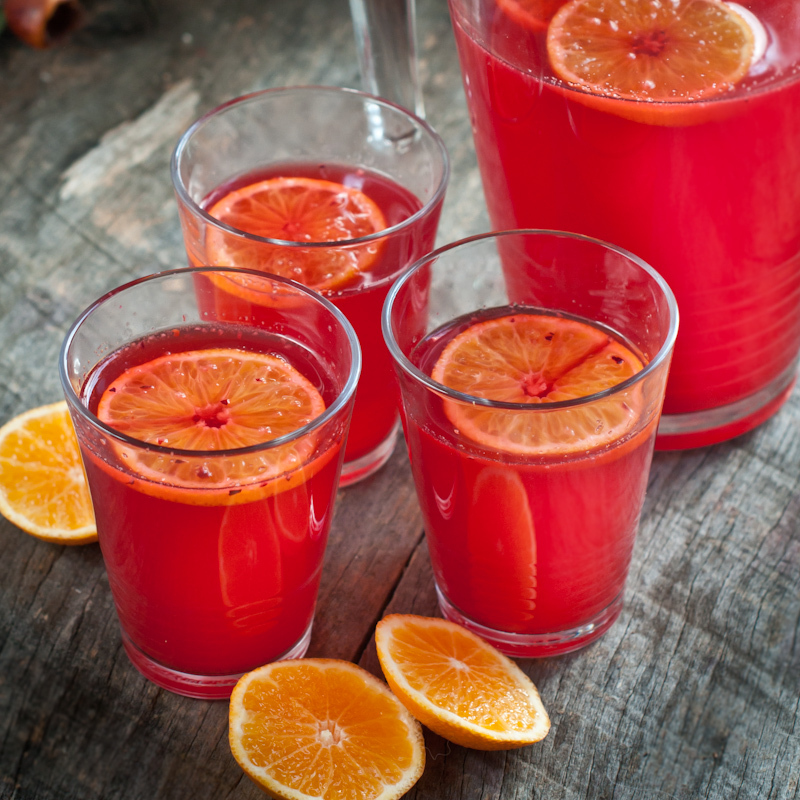 Cranberry juice caused excessive internal organ bleeding in some patients. The most important thing to remember when consuming cranberry is that both cooking and sugar severely diminish the healthy nutrients found in this powerful fruit. Enjoy your cranberries raw, frozen or juiced to take advantage of the many body boosting benefits they have to offer. There’s a whole lot of good cranberry stuff in here! I couldn’t thank you more as you have given me different options to make me love the fruit more than anything else! I can use all these recipes and tips anytime at home. And to add–frozen cranberries can do me a great favor when the fresh ones are not in season!